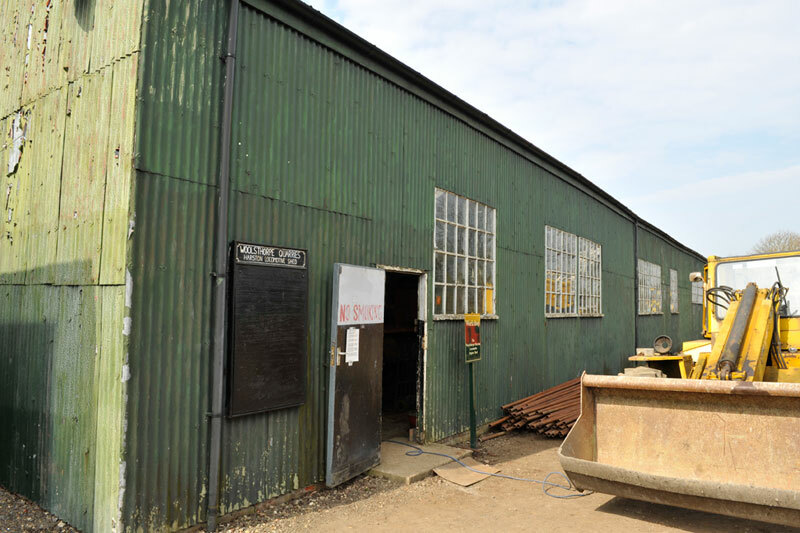 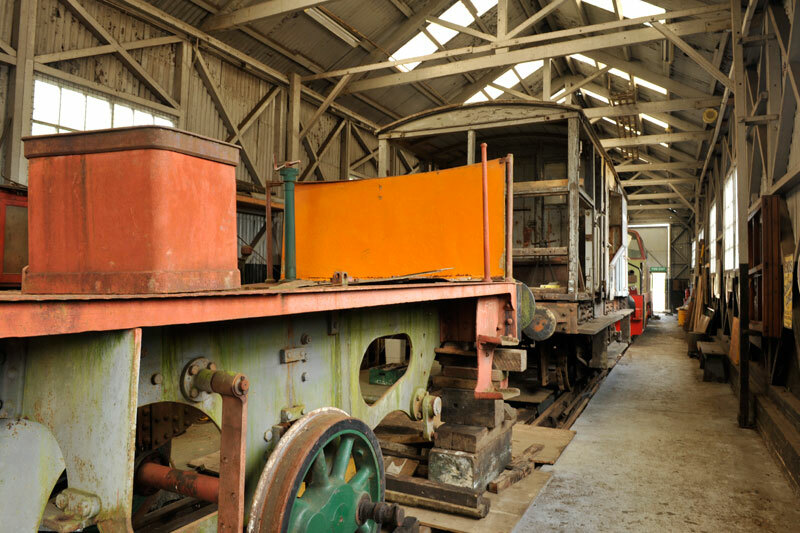 The Museum has carefully rebuilt the original engine shed and workshop from Woolsthorpe Quarries and this now houses our current restoration projects. 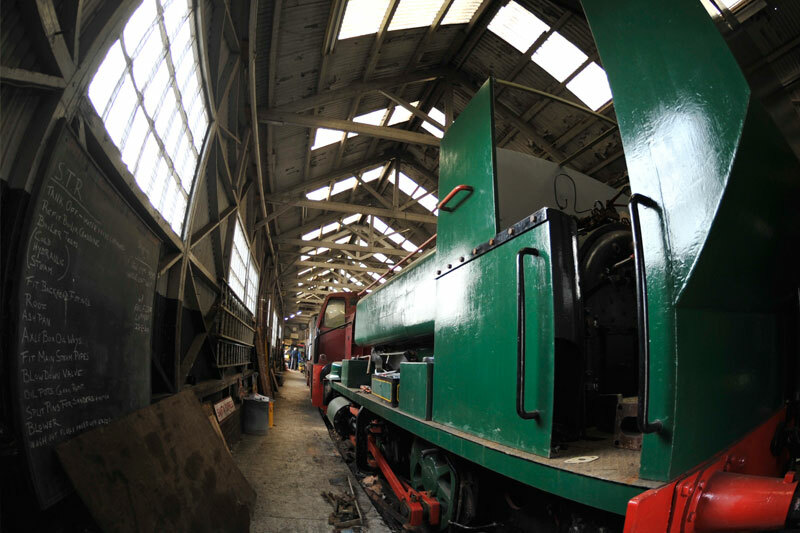 Inspect the latest developments and see engineering operations as our exhibits are worked on by a willing band of volunteers. 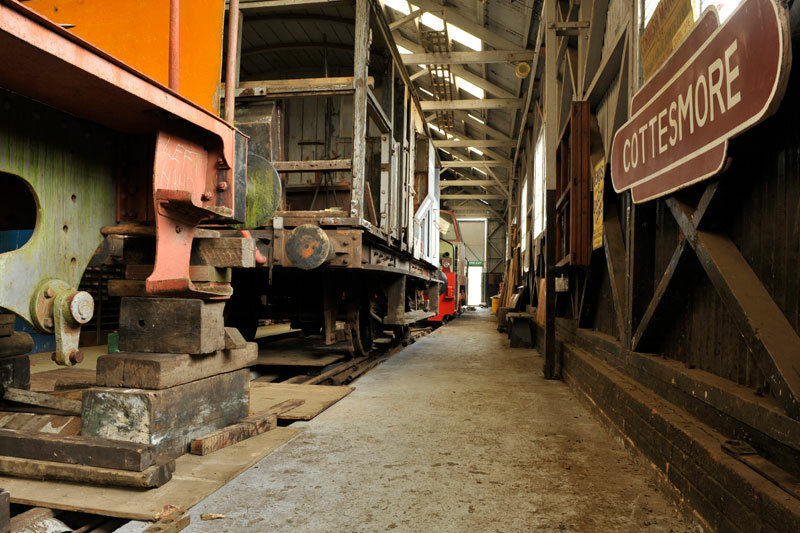 The workshop can be a dangerous environment and visitors should stick to the walkway provided and not climb on the exhibits. 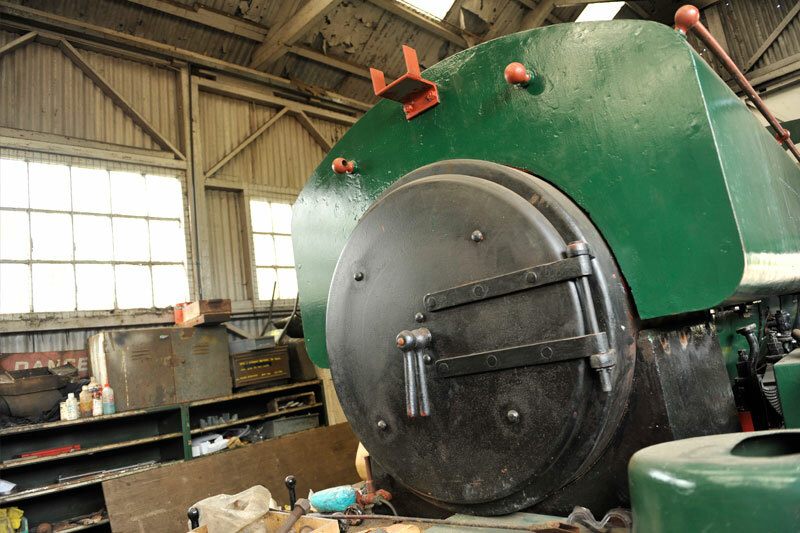 Our volunteers are pleased to answer questions about our conservation and restoration work and can offer additional information about the exhibits.